Obesity is a global concern that leads to various chronic diseases in the world. It may result in heart disease and diabetes, which are the main reason for the premature deaths. Extra weight can also cause health problems during pregnancy, such as high blood pressure, gestational diabetes and increased risk of cesarean section. First, we will find out some major reasons for people gaining extra mass and how to adapt the life-changing ways for better and healthy life. There is a direct relation between what and how much do you consume and how much your body burns this food. Weight gain happens when your body preserves the extra energy. Following healthy eating and physical activity could help in improving your health that gives a long life. Then a question arises, what and how much we need to consume food? An answer is probably not simple as it differs based on a person's metabolism and his or her body structure. 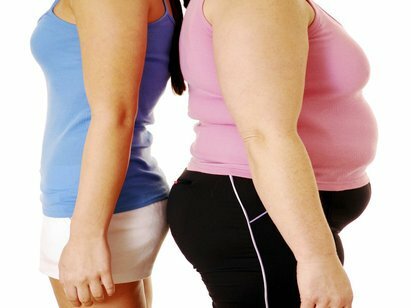 Obesity is a complex disease resulting from the interactions of a wide variety of hereditary and environmental factors. Research shows that genes can play a major role in obesity. Clustering of cases within a family, the congruence of body weight for monozygotic twins, and the discovery of genes associated with obesity are all arguments reinforcing the genetic dimension of obesity. The choice of healthier food such as vegetables or fruits is a comparatively costlier option than easier available foods high in fat with added calories and sugar in the market. One of the reasons for insufficient physical activities could be, use of gadgets or tools such as remote controls and drive-in banks that make people inactive. Families also share eating habits that could affect how, when, and what we eat. The research also suggests that the consumption of steroids and some drugs for depression and other psychiatric disorders may increase the body weight. The BMI is easily calculated as per the following equation. Therefore, it is important to ask your family doctor or pharmacist for the probable side effects of these medicines. Occasionally, many people consume food even when they are not hungry, due to some emotions attached to their life such as sadness, angry, stressed, etc. that also leads to excess mass in the body. Follow some rules and guidelines rigorously to improve your health, starting with paying attention to what, how often, when, and what quantity you should eat. Prepare your individual eating plan for selecting the right food and schedule that will limit the craving for your favorite food. Go for more nutrient-rich foods such as fruits, vegetables, whole grains, eggs, seafood, low-fat milk, beans, nuts, seeds, etc. that give you the higher energy with less food consumption. Avoid eating only calorie-rich food as they don’t add nutrients that require uplifting your body. People who eat breakfast are less likely to overeat later in the day that leads to better food habits. Then a question arises, how much should I eat? Well, it depends on various factors like age, gender, body physics, metabolism rate, family genes, and more. Start with a small dose of healthier food that has higher nutrients and fewer calories. Based on the result, you can change either food or quantity that suits your body structure. If you want to reduce your weight, don’t start severe exercise or eating less food as it may hamper your health. Aim for a slow, modest weight loss, with 5 to 7 percent of your body weight over 6 months or longer that has been shown to improve your health. You need to be physically active along with weight loss focus, by doing regularly aerobic and strengthening activities. Around 5 hours a week of walking at a speed of about 4 miles an hour can give the positive health result. Studies also suggest that being fit at midlife may help prevent heart disease and stroke as you get older. Start following these healthy steps and maintain your body firm and fit to overcome various challenges in life.